Surfside Beach Club is a lovely family-friendly community that is open to all ages. This 200-acre Myrtle Beach, South Carolina community is located less than two miles from the Atlantic Ocean and is only a golf cart ride away from the Surfside Beach Fishing Pier. This beautiful coastal community is ideal for those who love living near the ocean, but crave the charm of a family-friendly and intimate community. The community clubhouse offers such amenities as a fitness center, outdoor pool, hot tub, and space for informal gatherings. Surfside Beach Club has amenities and social clubs that cater to active lifestyles. This intimate neighborhood setting with ample community space is a great location where residents can socialize and stay in shape. The clubhouse at Surfside Beach Club, with its own catering kitchen, is the perfect location for informal gatherings. The library is a quiet spot to relax with a good book. Residents can also exercise in the fitness room, swim in the outdoor community pool, soak in the hot tub, play a game at the quoits pit, or enjoy the lake view from the picturesque gazebo. Whether strolling through the community's walking and biking trails or looking out their own window, residents can enjoy the beautiful landscaping, trees and water features. There are 13 lakes located throughout Surfside Beach Club, offering residents beautiful lakeside views complete with decorative fountains and visiting families of ducks and geese. The 498 single-family homes at Surfside Beach Club are divided into six separate neighborhoods: Chalet, Landings, Lake, Lake Forest, Coral Springs and Clearwater Lakes. The luxurious homes in Clearwater Lakes, Lake and Lake Forest are situated on large homesites, and the spacious homes in Coral Springs feature private courtyards. The homes in Chalet and Landing are smaller than those in other sections; yet retain a spacious feel with their beautiful open floor plans. The Chalet homes are available on a resale-only basis. All of the models within Surfside Beach Club are single-family ranch houses with floor plans ranging in size from 1,384 to 2,697 square feet. Each home includes an attached two-car garage, with many plans offering side-loading garages. These thoughtfully designed homes are planned with two to three bedrooms two to two-and-a-half bathrooms, however the home layouts can be modified to meet the buyer's needs. As Surfside Beach Club is open to all ages, residents can enjoy living in a family-friendly environment. Residents can socialize at the community clubhouse, lounge poolside, or exercise in the fitness center. Surfside Beach Club is a small neighborhood where residents can mingle and participate in various clubs and activities. Some of the clubs and activities include men's golf, water aerobics, quoits, cocktail pool party, bunco, bocce ball, movies under the stars, yard sales, game nights, and breakfast club.There is also plenty to do just outside of the community as well. Located just outside of downtown Myrtle Beach, Surfside Beach Club is a prime location for beach lovers. The Atlantic Ocean is less than two miles outside of the community, and the Surfside Beach Fishing Pier is nearby. Surfside Beach Club is a perfect spot for those who love water activities such as boating, fishing, kayaking, and parasailing. For dining out, the award-winning restaurants of Murrells Inlet are only a few minutes down the coast. Also nearby, residents can find shopping destinations that range from quaint shops to outlet malls. Those who frequently travel or have out-of-town guests can appreciate having Myrtle Beach International Airport only minutes away. The Myrtle Beach area also has local hospitals, medical centers, entertainment venues, and cultural attractions. 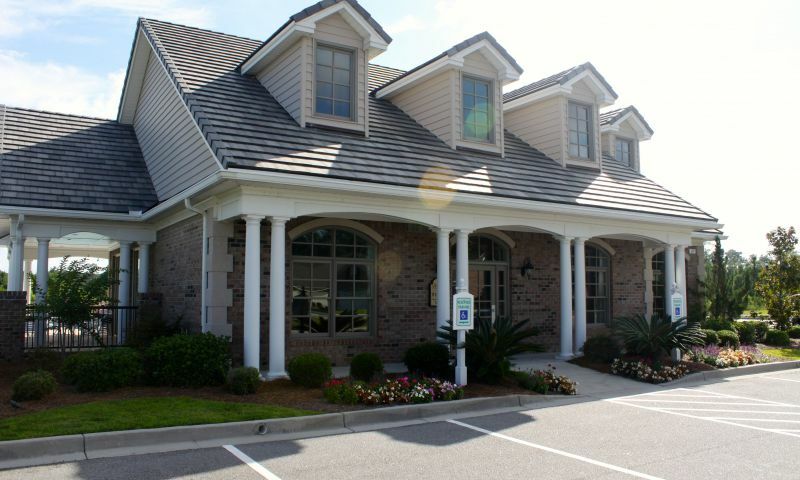 Surfside Beach Club is a great active lifestyle community in Surfside Beach, SC. There are plenty of activities available in Surfside Beach Club. Here is a sample of some of the clubs, activities and classes offered here. These homes are available on a resale-only basis. These single-family homes range from 1,384 to 1,575 square feet and offer three bedrooms, two bathrooms, and an attached two-car garage. Single-family homes within the Landing Series range from 1,495 to 2,071 square feet. They have three bedrooms, two to two-and-a-half bathrooms, and an attached two-car garage. These homes are available as new construction and resale. The Coral Springs Series has single-family homes that offer 1,774 to 2,049 square feet of living space. These homes have two to three bedrooms, two bathrooms, and an attached two-car garage and are available as new construction and resale. These single-family homes feature three bedrooms, two to two-and-a-half bathrooms, and an attached two-car garage. They range from 1,836 to 2,266 square feet and are available as new construction and resale. The single-family homes in the Clearwater Lake Series range from 1,913 to 2,101 square feet and have three bedrooms, two bathrooms, and an attached two-car garage. These homes are available as new construction and resale. Single-family homes in the Lake Forest Series range from 1,841 to 2,697 square feet. They have two to three bedrooms, two to two-and-a-half bathrooms, and an attached two-car garage. These homes are available as new construction and resale. SBC is a great community. Close to the beaches and restaurants. It is NOT a 55+ community as advertised. The best part about Surfside is how close it is to the beach! The location is great and you're just minutes from the coast, shops, restaurants, golf, you name it. We spend more time out and about around town then we do at the clubhouse here. We're in the Lake Forest section of the community and like our large yard and the house is great for having friends over. We really enjoy living here and entertaining in our beautiful home! 55places.com is not affiliated with the developer(s) or homeowners association of Surfside Beach Club. The information you submit is distributed to a 55places.com Partner Agent, who is a licensed real estate agent. The information regarding Surfside Beach Club has not been verified or approved by the developer or homeowners association. Please verify all information prior to purchasing. 55places.com is not responsible for any errors regarding the information displayed on this website.